A sense of tranquillity and serenity is what you will acquire when visiting Marble Mountains. 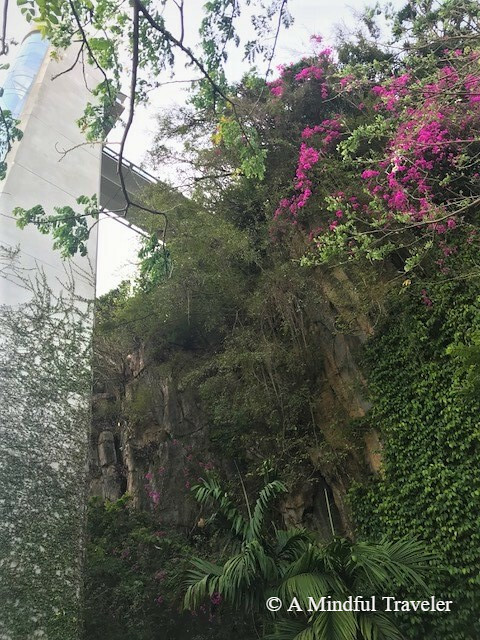 The peaceful surroundings of this natural attraction in Da Nang are not only educational but a delightful experience. 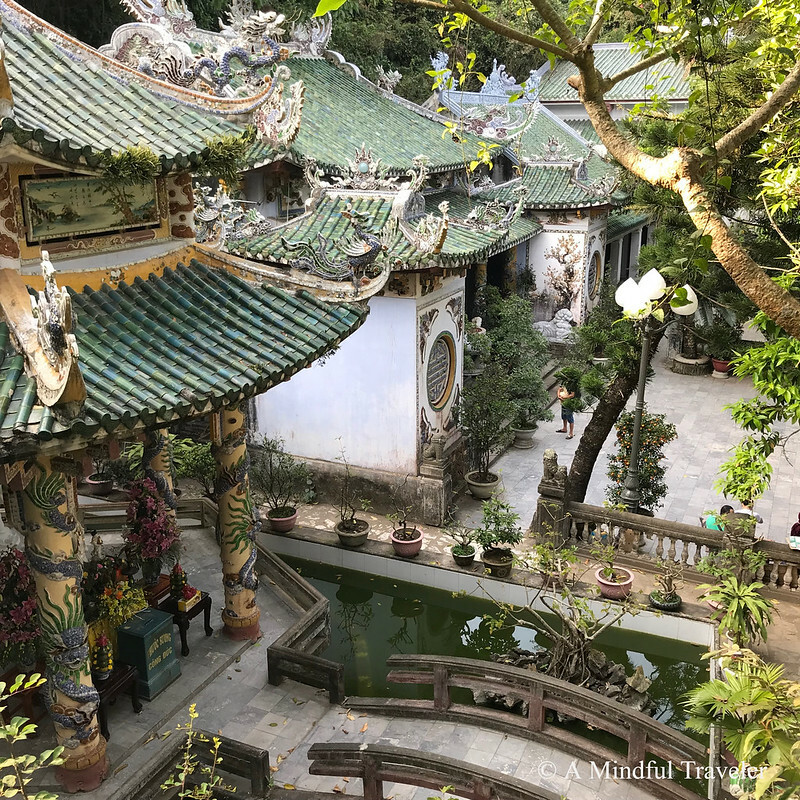 A worthwhile visit if you are ever in the nearby area of Da Nang, Vietnam. This popular and majestic tourist attraction, which was once a place of refuge, is a group of five limestone mountains. These five different shaped mountains are named after the five natural elements; Kim Son (metal), Moc Son (wood), Thuy Son (water), Hoa Son (fire), and Tho Son (earth). 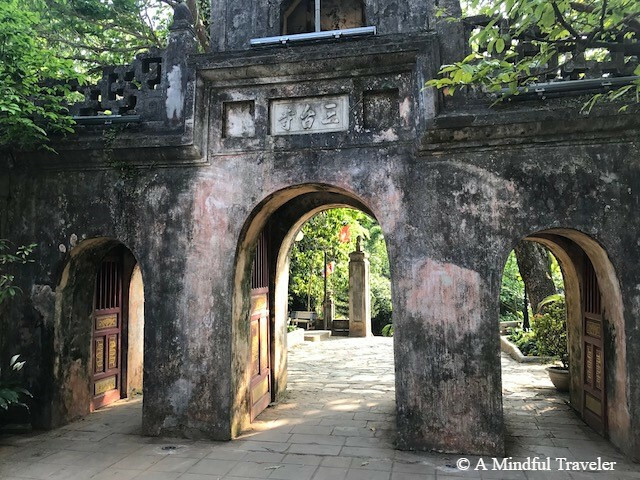 Before you enter the sacred grounds at the foot of Marble Mountains, is Non Nuoc Village, which has existed for over 300 years. Family traditions which have been passed down through talented craftsmen are evident in this neighborhood. 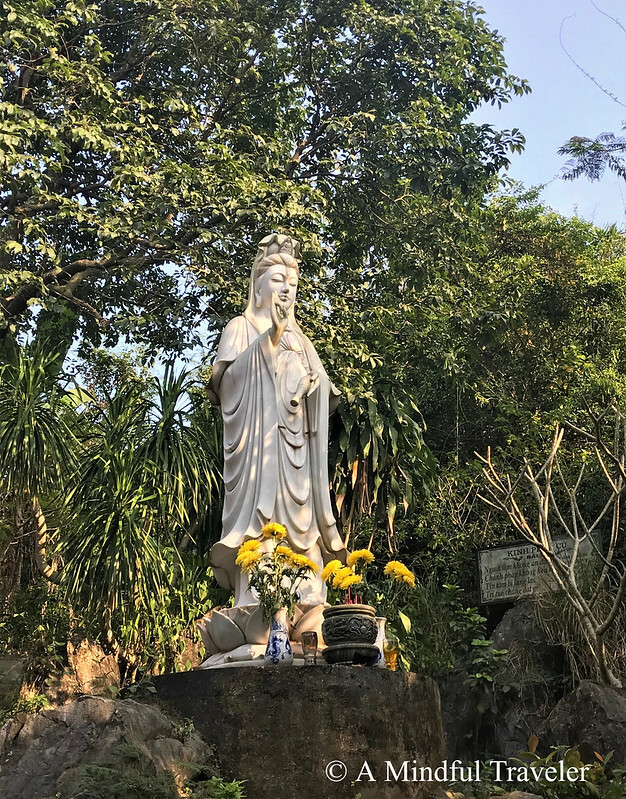 Well known for its marble stone sculptures and handicrafts, such as jewelry and exquisite statues of Buddha, you can purchase these from the street shops or the market stalls below Thuy Son (Water Mountain). 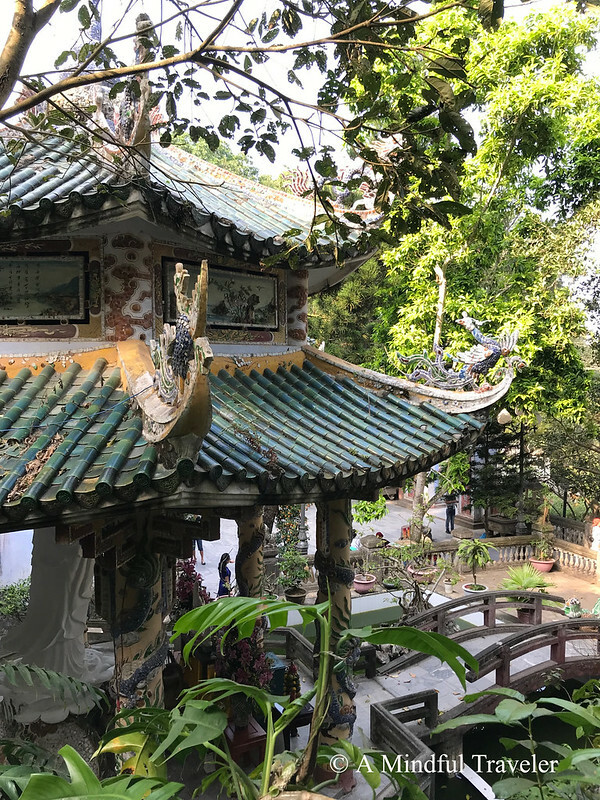 Thuy Son, the largest and most popular of the five mountains, can be reached by either climbing 156 steps via Gate 1, 123 steps via Gate 2, or a glass elevator (which closes in the evening) with a beautiful view of the surrounding scenery of Da Nang. The climb is great for those who are in good health and enjoy hiking, though the steps can be quite steep and uneven. 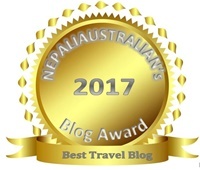 The highlights are amazing caves and pagodas, ancient carvings and religious monuments. 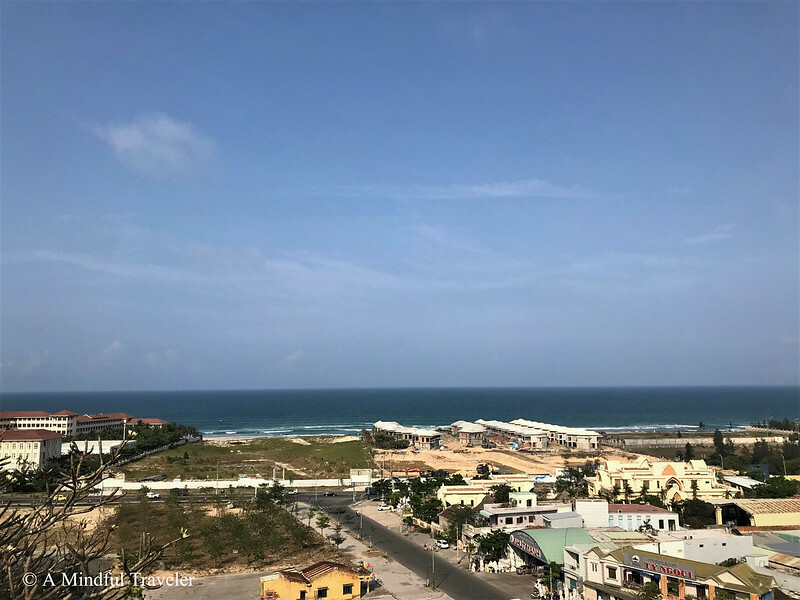 Stunning views of the city and the nearby beach can be witnessed from the viewing platform at the top peak of the mountain while enjoying the cool ocean breeze. 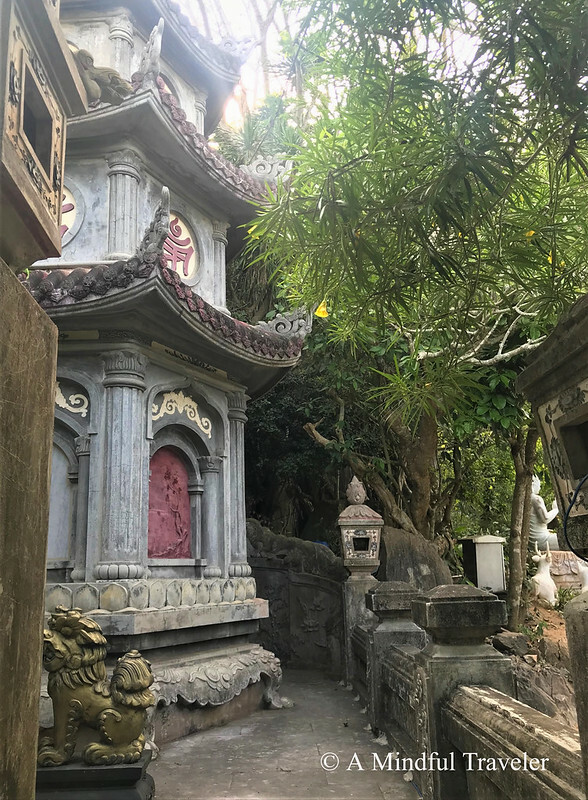 The beautiful stone tower of Xa Loi Pagoda overlooks Vietnam’s central coast and through lush native trees, a panoramic view of the beach can be seen from the stone pathways. Tam Thai Temple was my favorite monument. A colorful and serene sanctuary, behind an ancient stone gate of three arches. The main arch in the middle is used for the monks, the left one for men and the right one for women. 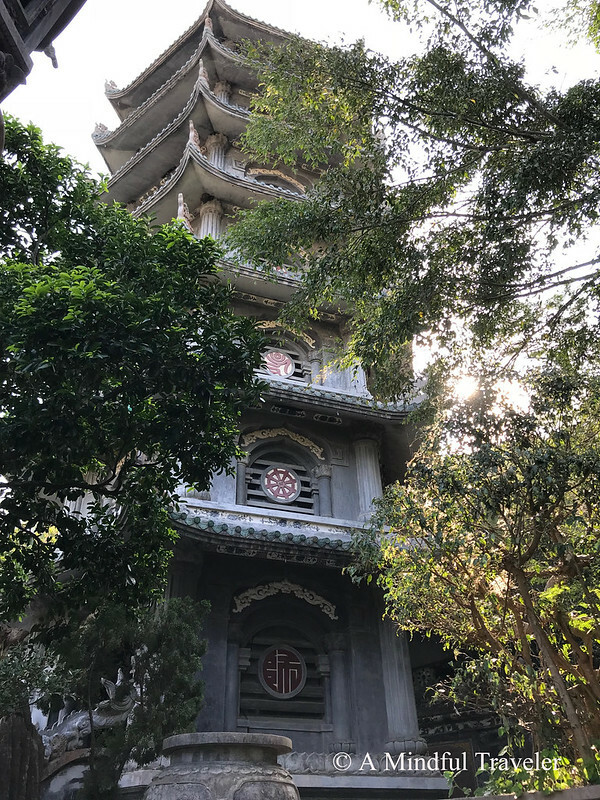 This temple still retains rich architectural detail and features, and if you stick around long enough, you may even see a monk strolling through the holy grounds. Thuy Son boasts a number of magnificent natural caves. Some which are more easily reached than others! Huyen Khong Cave is the largest and most beautiful. 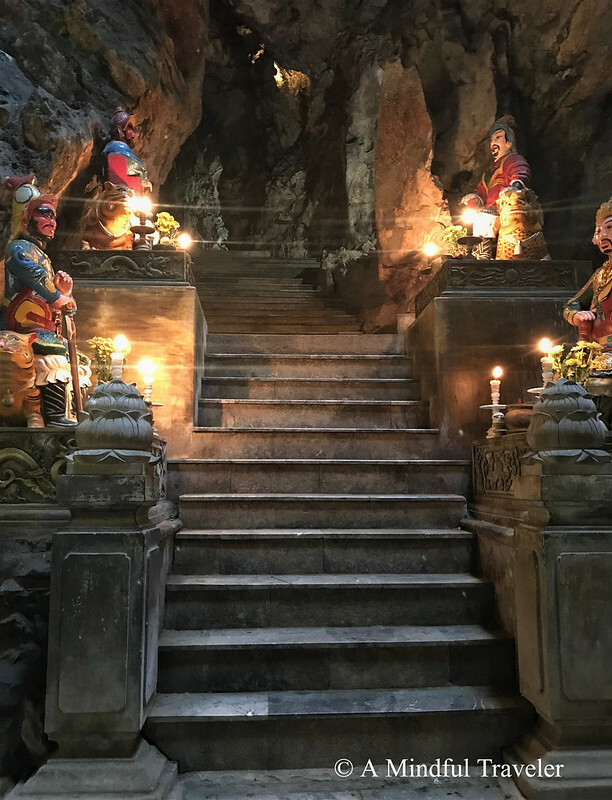 Marble carved religious scenes and colourful statues fill the grottos of these deep underground caves. The mysterious and mystifying tunnelled sanctuaries offer visitors and pilgrims alike, a peaceful place to worship and offer prayers. 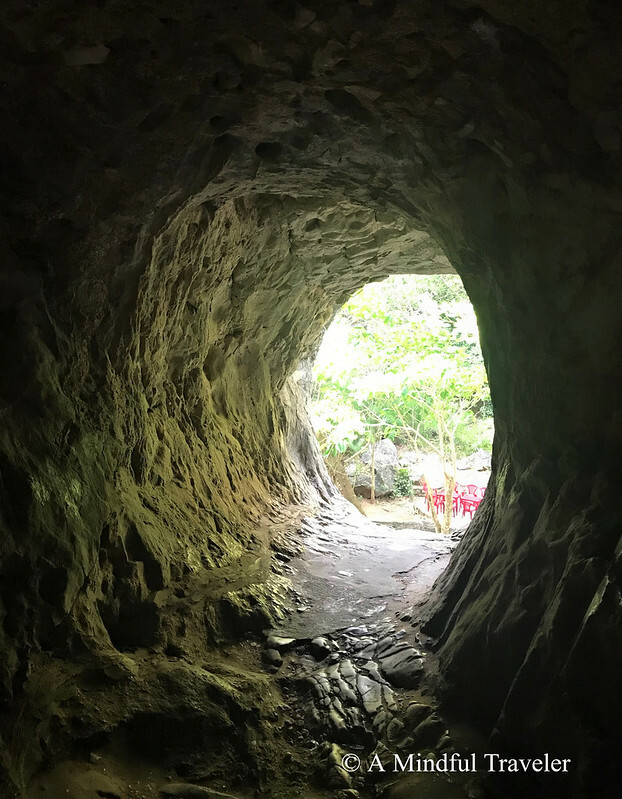 The intense silence and fragments of sunlight through the holes and cracks from the cave walls above, add to the enchanting atmosphere. 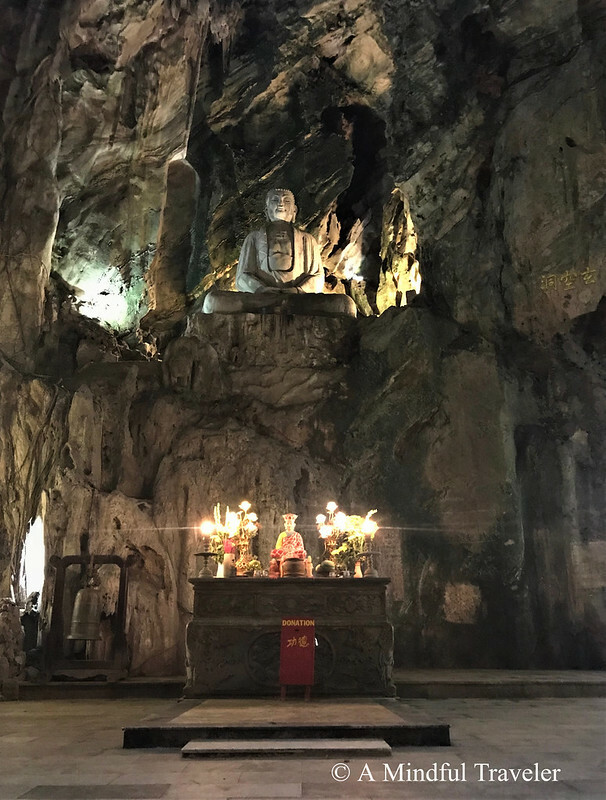 It is ideal to start your journey to Marble Mountain in the morning as it may take 4 hours to explore all the caves and pagodas here. Alternatively, if you visit in the late afternoon, you have a chance to admire the city of Danang at night, though it is recommended to carry a flashlight and phone with you. 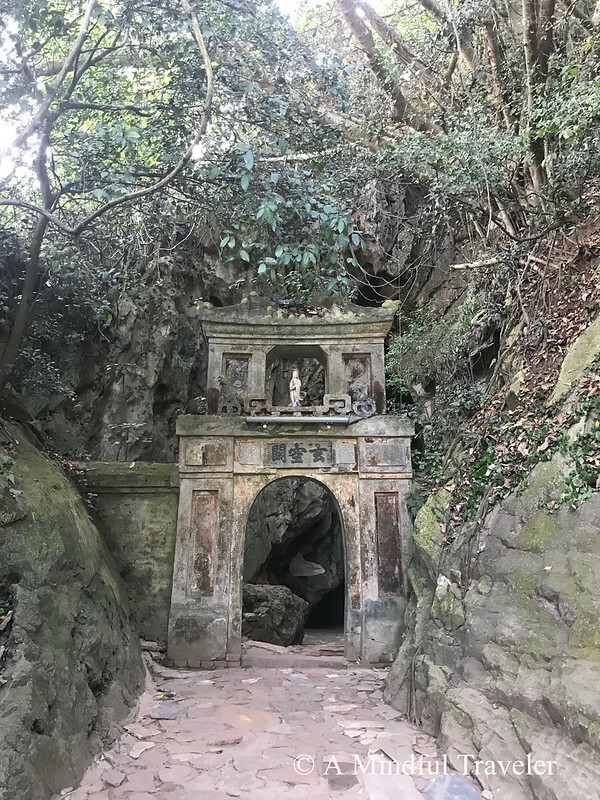 It’s advisable to wear light clothes (and discreet clothes when visiting temples) and a good pair of sneakers or running shoes when exploring the caves and pagodas. 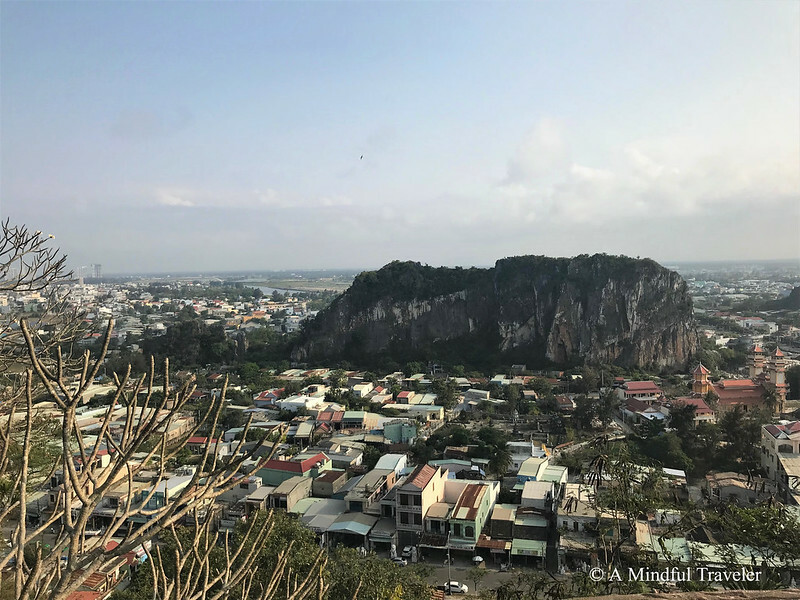 Marble Mountains is an impressive sight of Vietnam. 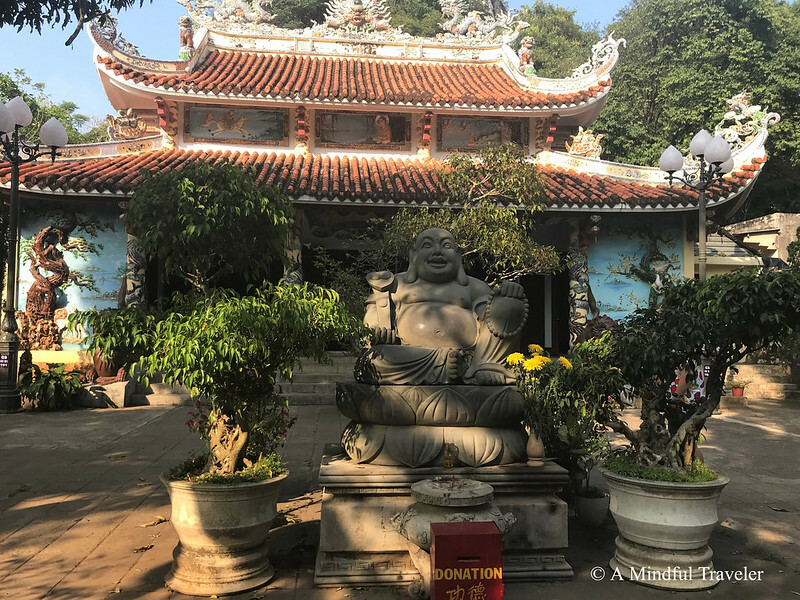 Rich with history, ruins and legends, this place of worship gives visitors a unique insight into Vietnamese culture and legacy. Entrance tickets cost 40,000 VND per person ($2.30 AUD) and a one-way elevator ticket will set you back a whole 15,000 VND per person (0.85cents AUD). February to May as the best time to visit. Da Nang is relatively mild and experiences hot, dry weather from May to late August with more rainfall from September to January, with the wettest months being October and November. Vietnam has a tropical climate. From Hoi An – just follow Lac Long Quan street along the shore for approximately 18 kilometers. Simply serenely beautiful … I would love to go there! It had such a peaceful aura about it Osyth. I’m so glad we visited. Gorgeous and lovely photos too! Vietnam! What an amazing place to visit. I have not travelled as much as I would have liked too. I loved your article. Vietnam was a place I always wanted to see. This trip was quite short unfortunately, but gives me incentive to head back and discover more of Vietnam’s beauty. Looks very serene. I love those temples (?) on the last photo. It’s one of my favourite pics of the day. I have been to Vietnam but didn’t visit the Marble Mountains Da Nang.. I hope you get to experience these wonders one day. This kind of day sounds exhausting but also a lot of fun! It’s lovely to take your time and explore the different areas of the mountain. Each so unique too. Lovely place , truly a traveller’s delight! This post is so relaxing! It must have been such a gorgeous place to explore!! I can see why Tam Thai Temple was your favourite monument. Your pictures are fab! Glorious and gives me wanderlust. Everyone we know who’s been to Vietnam has loved it and your story confirms their opinion, Lorelle. Great post. 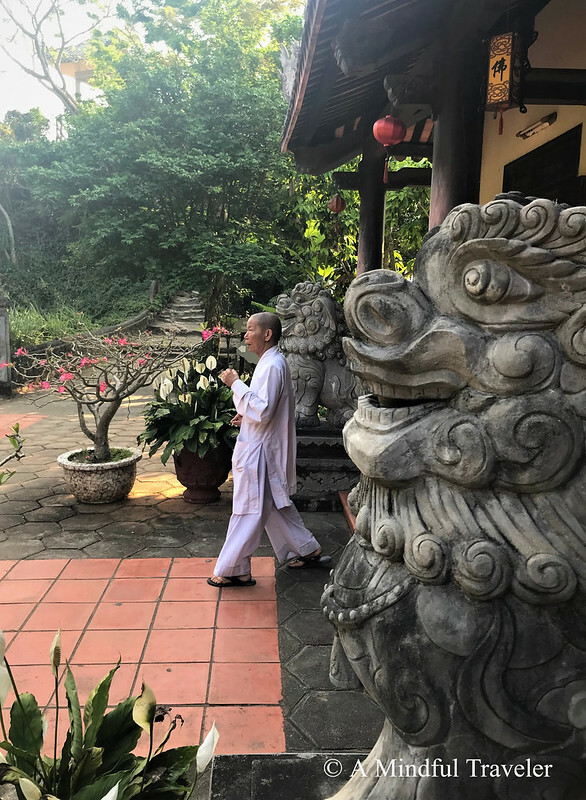 Great post and photos, which took me back to Vietnam.